Whether you own a large business or a small one, Lake Region Electric Cooperative can meet your needs for power. 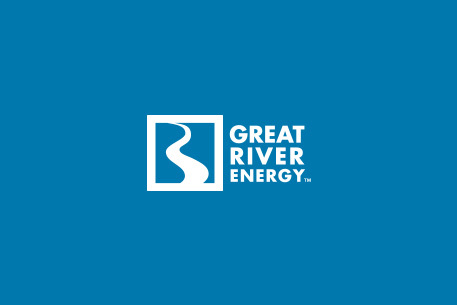 We are members of Great River Energy, a 28-member generation and transmission cooperative located in Maple Grove, Minn.
Great River Energy is the second-largest power supplier in the state and the fourth-largest generation and transmission cooperative in the country in terms of assets. Lake Region Electric Cooperative is located in Pelican Rapids in the heart of Minnesota lake country. Our membership is a mix of residential, commercial and industrial, and seasonal homes. About one-third live here less than six months of the year and use less than 500 kilowatt-hours (kWh) a month. We average 4.6 members per mile in our 3,200 square mile service territory. We own and maintain 5,600 miles of line. With careful financial management and sound board decisions, your cooperative has grown and prospered. Current assets exceed $90 million. As a not-for-profit entity, we are not in the business of building up our equity. Instead, we pay for system growth and upgrades with a combination of rates and borrowed funds to spread the costs. But because we are a cooperative, margins, or profits, are allocated to members' capital credits accounts. Periodically, capital credits are returned to members based on the amount of electricity they purchased. Members are owners. Each member has a vote and the opportunity to serve on the member-elected board of directors. Read more about the cooperative principles, which continue to govern cooperatives today. Leading, empowering, guiding members to use energy wisely to secure a better future for our families, our communities and our world. The mission of Lake Region Electric Cooperative is to provide our members a safe, reliable and cost-effective electric and related services.